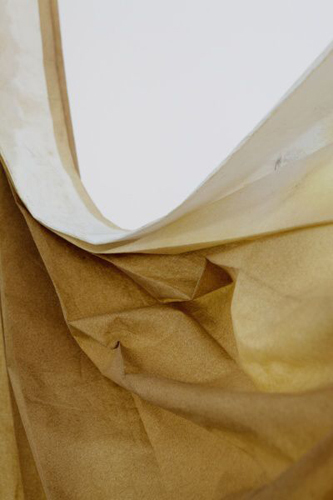 Fragility is a characteristic that can be highly valued in the sphere of fine art, especially in applied art. The need to protect a precious object can raise its exclusivity. In order for the relationship between fragility and exclusivity to work well, however, the traditional counterweight to fragility has been in the form of relative durability – a Rococo bouquet of porcelain flowers can be destroyed in the second it falls to the ground, but if they are carefully maintained, they can be part of your great-granddaughter’s dowry and maybe even her descendents. Perishability in relation to great art can appear as a heresy or an unwanted defect or accident. We admire the Lascaux cave paintings and the Egyptian pyramids, gothic wooden madonnas, and baroque oil paintings, and from a young age we know that that great art is evidenced by, among other things, durability and its creator’s ability to endure. This deep-rooted idea is significantly complicated by modern art: it turns out that modern, synthetic materials often do not endure as long as the traditional ones or they age worse. 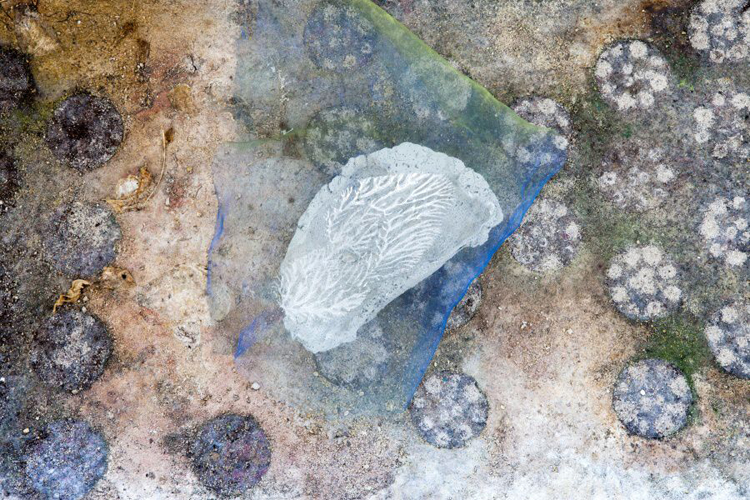 Artists test the limits of their media, experiment with new forms, let themselves be led by the materials themselves, or do not even need physical materials and creative artifacts anymore, at other times only the fragmentary remains of their activities are left. The restoration and preservation departments of museums of modern art have to rotate; the ability of institutions and markets to absorb exceptionally fragile and sensitive objects is still on the rise. 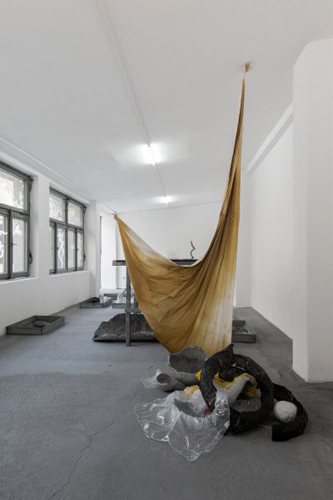 Essentially, then, we can say that the work of Anna Ročňová continues on a path that, in principle, is well-trodden and finally even acceptable within the scope of the program of a private gallery devoted to selling artwork. Despite this: upon encountering her objects and installations we can perceive a certain derailment. In her application fragility and impermanence carry a certain degree of tenderness, but it is rather blatantly raw, a bit dirty and, above all – it in no way expresses itself merely as potency, but very often also as present reality. 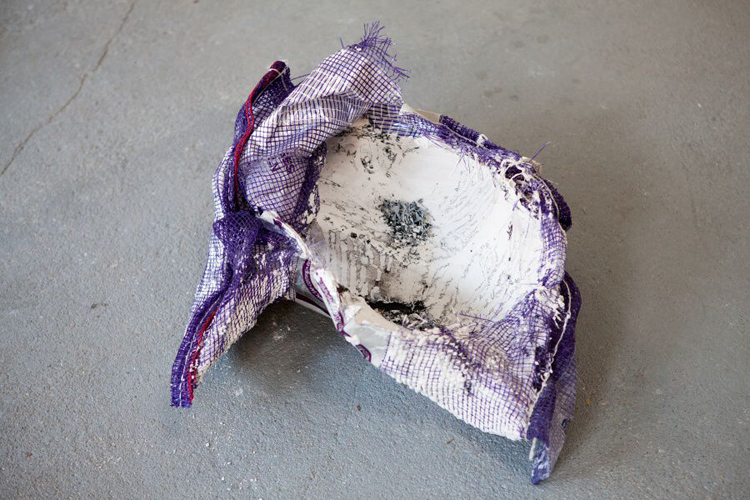 Plaster objects are not at risk of falling apart one day; their surfaces are actually already disintegrating right now. Even objects from materials that seem stable in terms of their molecular structure, concrete or plastic for example, literally change shape in your hands during transport and handling. 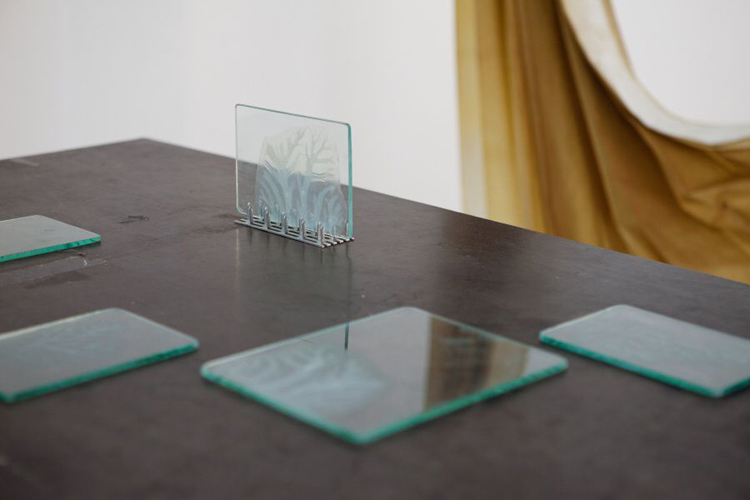 Although Anna Ročňová is a devotee of subtle aesthetics in some ways, it is refreshing to observe that during her work and installation of exhibitions she is not strict about the “inviolability” of individual objects. For her they are part of a larger whole, a whole that changes according to the momentary situation and place and is therefore unrepeatable and it makes no sense to obsess over individual elements – it is always possible to redo them, recycle them, or a remake a similar piece again. Martin Zvěřina‘s atmospheric video shows us the use of objects that we encounter in the hunt kastner galley at other times and in other ways. They could have symbolically flourished in the greenhouse of the Prague Albertov Botanical Gardens, but they are now showing signs of fatigue and are not awaiting the next exhibition. They are now stored in a kind of depository, making use of the furnishings used to winter plants in the greenhouse. 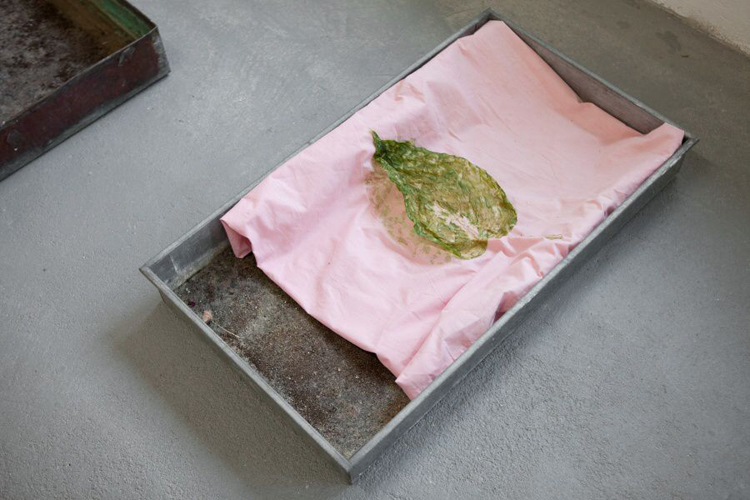 Unlike the greenhouse, they give higher order to the flower pot crates by places on them a permanent arrangement of objects, at the same time they are a metaphor and the embodiment of a support mechanism that is necessary to slow the disintegration of objects. It is clear, though, that its character is that of a futile battle that the artist herself is only laxly fighting. Her disregard for permanence also paradoxically raises the symbolic value of the art, as something that is here and now, taking place between work and audience and thus unrepeatable as a result. 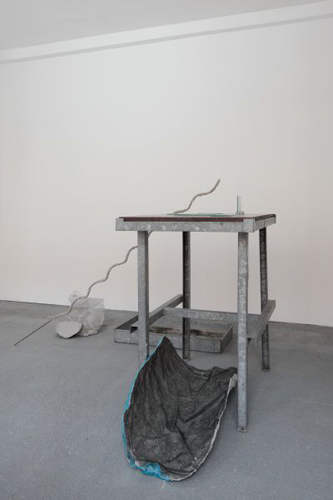 Anna Ročňová’s (*1989, Trutnov) practice finds forms for connecting various found materials and objects, while enabling the physical properties of the materials – artificial and natural – to become involved in the formation of new sculptural forms. 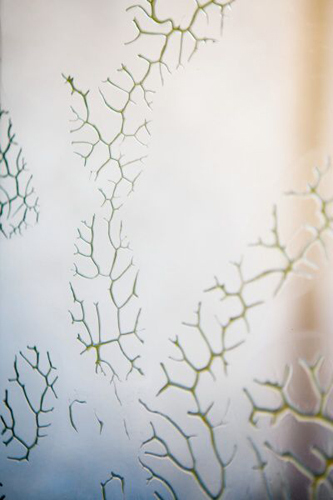 For the artist’s graduation project at the Prague Academy of Art, Architecture and Design, the starting point was the subtropical greenhouse at the Prague Albertov Botanical Gardens, and follows her interest in nature and its processes, and our relationship with civilization and its products. 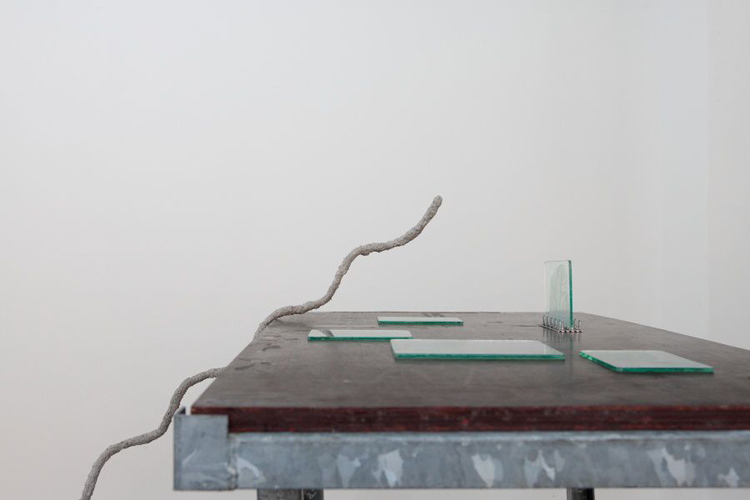 Ročňová has long been pursuing empirical experimentation with materials and forms by erasing the division between both natural and artificial processes. In the large greenhouses of the Botanical Gardens, Ročňová set up her most extensive installation to date, utilizing recycled fabrics and materials for her innovations, which have already become a part of our landscape. 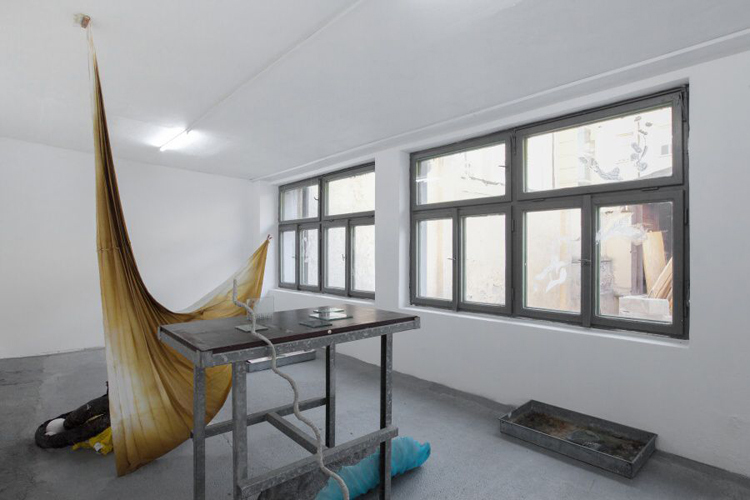 Allowing visual access to the creative process, her objects were subsequently moved over a period of several days, during the process directly engaging with the living plant organisms and new eco-structure. In a contrasting motion trajectory, her installation buried itself deeper into the dark interior of the subtropical greenhouse, while the Botanical Garden staff brought their thermophilic plant counterparts out into the invigorating spring sunlight. The follow-up presentation, for the inauguration of the hunt kastner project_room, involves the further transplantation of the objects, this time to the more maternal gallery soil. Her concept is partially founded on the paraphrasing of biological-science documents concerning previous subtropical destinations. A fan thus simply implies something exotic, a substitute for a refreshing breeze in the colonial equatorial heat. Anna Ročňová began her studies in the sculpture studio at the Faculty of Art and Design of the West Bohemian University in Pilsen in 2009-10 under Jiří Beránek. In 2011 she moved to the sculpture studio at the Prague Academy of Art, Architecture and Design, where she is graduating this year, under Dominik Lang and Edith Jeřábková. 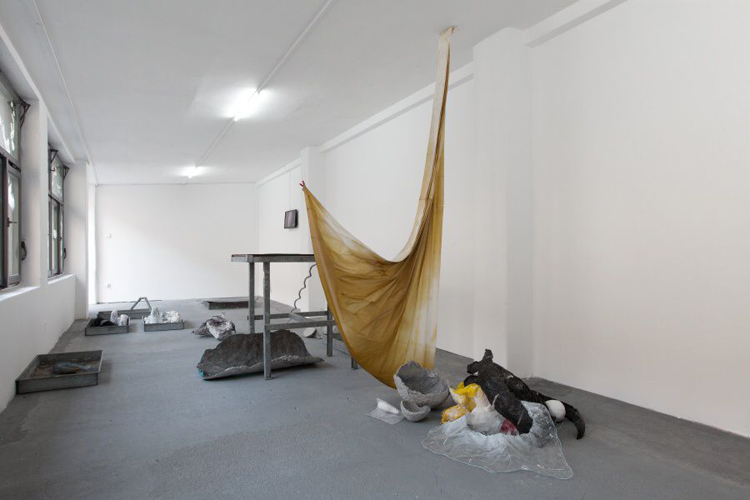 Her work has been presented in group exhibitions, including at the Prague National Gallery (Against Nature, curated by Chris Sharp and Edith Jeřábková, 2016); Tranzit-Display, Prague (Tranzit-Dispatch, 2016); Soda Gallery, Bratislava (Poetic Materialism, curated by Boris Ondriečka, 2015), hunt kastner (The earth turns and all things slip away…, curated by Edith Jeřábková and Jiří Kovanda, 2012), and her work is also currently featured in a group exhibition at Polansky Gallery in Prague. 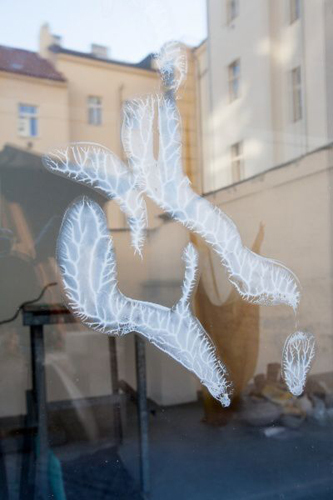 She frequently collaborates and exhibits with her partner and former fellow student Jan Boháč. 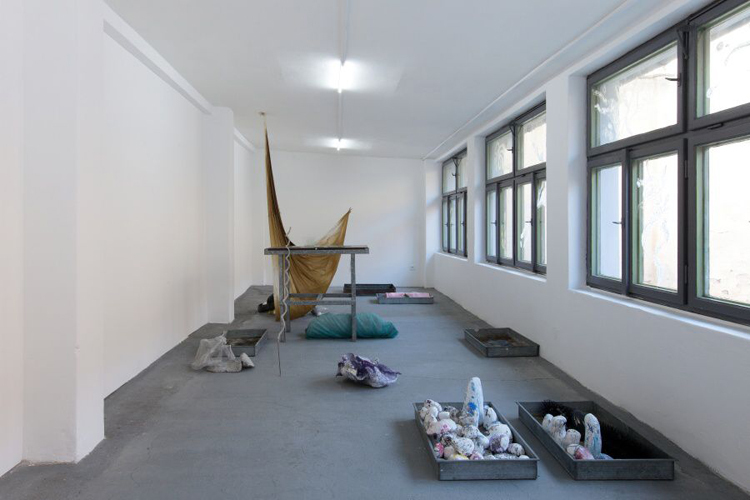 Fan is Anna Ročňová’s second solo exhibition to date, following Taking a Bath and Moisturizing at Jeleni Gallery at the Prague Center for Contemporary Arts in 2015.